LTP using the latest technology to care for our hens in order to ensure the safety, freshness & quality of LTP eggs. The fully automated & computerized feed-mill system ensures consistent quality production of feed. The specially formulated feed enhance the quality of the eggs production. The feed is strictly inspected by our quality control team. The temperature & humidity in the poultry coops are carefully regulated by an automated cooling & ventilation system to keep our hens comfortable and healthy. 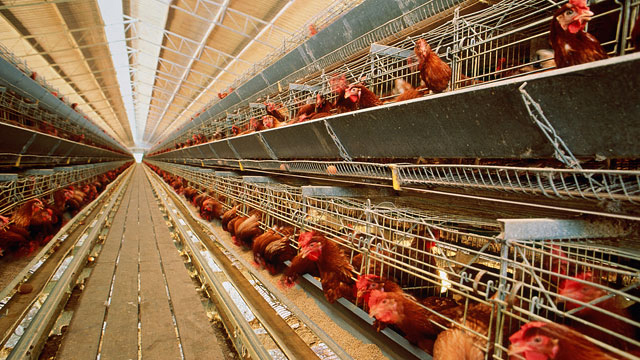 Coops are also equipped with fully automated feeding and drinking system. Besides, an automated manure collection system removes waste promptly for recycling into fertilizer. The very moment our eggs are laid, they are collected instantly to ensure the freshness of the eggs. They are then transferred to a central packing area where they are carefully checked. The eggs are then carefully sorted & graded by weight by eggs grading machine. Freshly laid, packed & sent to our retailers & customers by our own delivery team.